I am forced by smog testing to re-wire my O2 sensors. 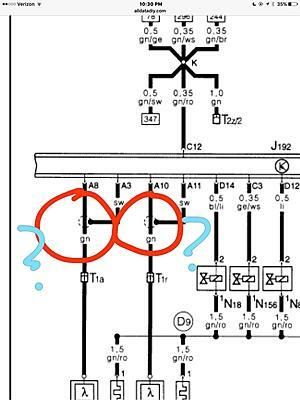 The car is a 1995 Cabriolet And the question is regarding the wiring diagram attached. 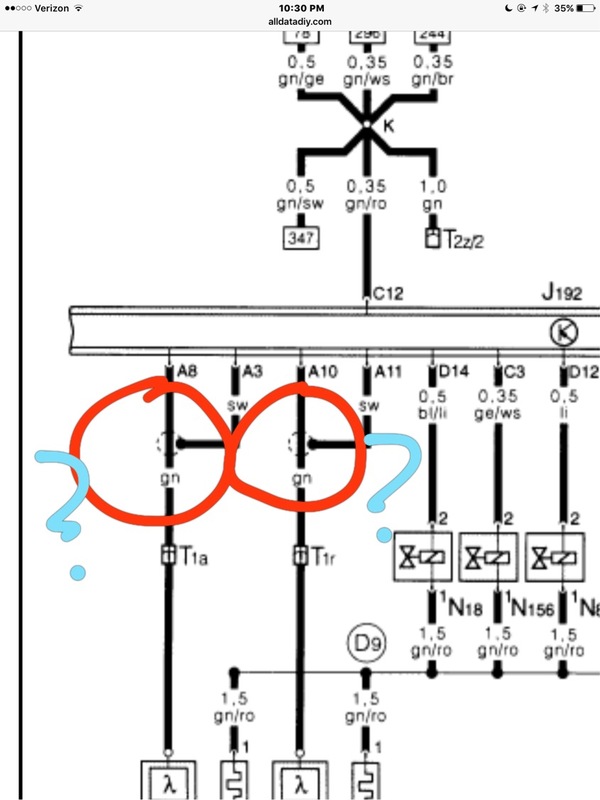 What type of a connection is it in the circled areas? The diagram legend is of no help. Please help! fluid colours? mystery leak. . .